RV Insurance | Utah | Four Seasons Insurance Agency, Inc.
Four Seasons Insurance Agency, Inc. is Utah’s RV insurance expert. Insuring your recreational vehicle is a bit like covering your home and your car, but all in one. Sure, you can drive your RV over the roads and highways, just like your automobile. But it’s so much more than simply a method of transportation. And that’s why it’s important to obtain specialty recreational vehicle insurance coverage. RV coverage insures you for liability and accidents that may happen on the road, but it also covers your investment and personal property. We can even provide coverage for roadside emergencies, to cover the significant out-of-pocket expenses that can accompany them. Whatever size or shape your RV may be, Four Seasons Insurance Agency, Inc. can find the ideal coverage to meet your needs. RV owners are passionate about their rigs, and for good reason. In Utah, recreational vehicles provide the opportunity to see the breathtaking sights and get away from it all, on your own terms. Of course you want to protect your RV as fully as possible from road hazards, theft, damage and liability. That’s why Four Seasons Insurance Agency, Inc. offers camper and motorhome insurance, travel trailer insurance and recreational vehicle coverage for fifth wheels and motor coaches. Do you have a toy hauler, pop-up trailer or camper van instead? Naturally, we cover those too. Because we are an independent agency, we have the ability to shop for the best coverages and rates available today – so you never have to! Even if you currently insure your home and autos with a different carrier, allow us to provide you with a complimentary, no-obligation RV insurance quote. You might be delightfully surprised by how much coverage we can offer at a very favorable rate. Are you one of the lucky ones who enjoys traveling and living in your RV year ‘round? Or do you load up the family for a weekend getaway in your recreational vehicle? 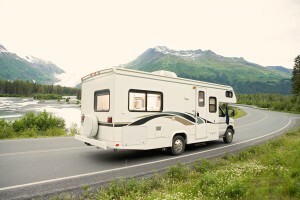 Your RV insurance requirements depend upon how, when and how frequently you use your vehicle. Our experienced customer service team will take the time to talk with you, and to learn about your needs. This allows us to find the perfect level of RV insurance coverage, saving you time, money and hassle. We can provide coverage for your personal RV contents, liability for incidents that may occur at a campground or campsite and – of course – we can insure your RV for its full purchase price to ward off depreciation losses. Do you bring along an ATV, golf cart or extra vehicle to get around while you’re parked? Of course we can insure all of those for you as well, as a part of your recreational vehicle insurance policy. Whether you use your recreational vehicle or motorhome as your permanent residence, seasonal escape or weekend getaway vehicle, we have all of the RV insurance products you seek. Contact the experienced professionals at Four Seasons Insurance Agency, Inc. today to learn more about our specialty products to cover your recreational vehicle and accessories. With convenient locations in Sandy and Taylorsville, we are Utah’s premier RV insurance agency.